Author, speaker, and thought leader Bob Kelleher tackles corporate malaise in this thought-provoking narrative, which follows newly retired management consultant Joe Daniels in an exploration of what's missing in business today. In reflecting on his career and interacting with his now-grown children, Joe comes to recognize that strong leadership and employee satisfaction alone will no longer be key to a a healthy, sustainable business. In this era of instant global communication, dramatic shifts in global workforce demographics, and the speed of change, organizations must focus and invest in on six interrelated ingredients (Purpose, Employee Engagement, High Performance, Innovation, Tri-Branding, and Global Growth). Those that don't, cannot expect to thrive. 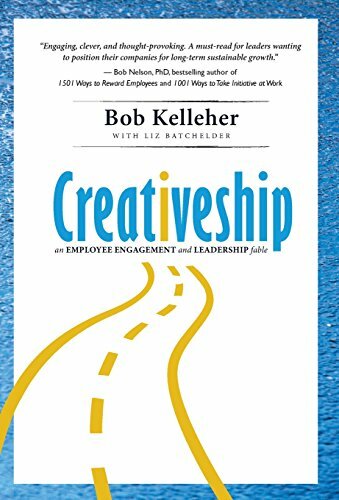 Complete with extensive resources to help organizations of any size or specialty begin their own journey, Creativeship is a must-read for all current and evolving leaders.